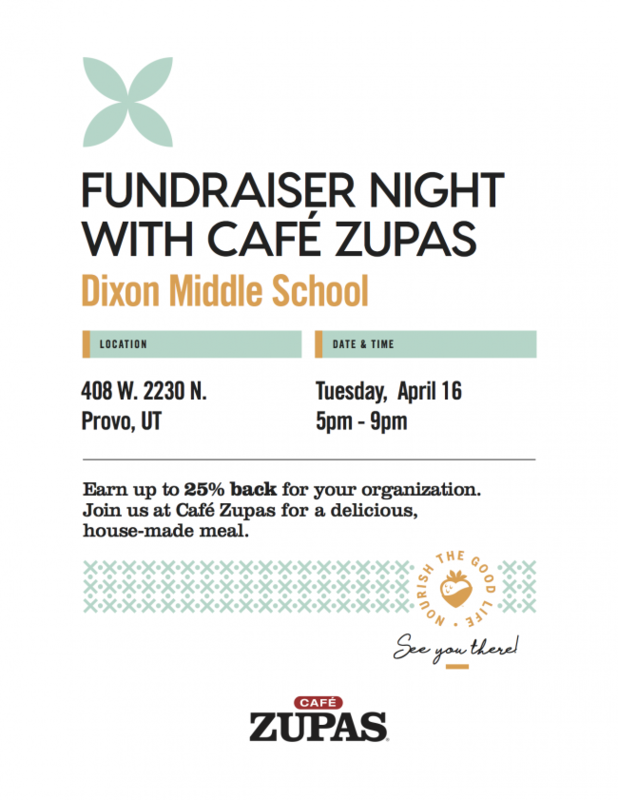 Come eat at Cafe Zupas tonight from 5-9PM! Make sure to mention the Dixon fundraiser and Dixon can get 25% back on your purchase. See you there!